Keith Money originally from Dundee on the east coast of Scotland, first dj’ed in a Soul Club in Edinburgh about 20 years ago. At the soul night were people from an All Nighter in Carlisle who asked him to play there and after that night he was asked to do lots of other places. Keith played his records all over Europe and is a resident DJ at the 100 Club London, Cleethorpes Weekenders and Prestatyn Weekenders. Keith Money aus Dundee, Schottland, legte vor etwa 20 Jahren erstmals in einem Soul Club in Edinburgh auf und wurde dort direkt für eine Veranstaltung in Carlisle gebucht. Seitdem spielte er seine Platten auf unzähligen Allnightern in England und auf dem Kontinent. Er gehört zu den regelmäßigen DJs im 100 Club London und auf den Weekendern in Cleethorpes und Prestatyn und wir freuen uns sehr, dass er in 2013 die Gäste im Gruenspan in Schwingungen versetzen wird. Where was your first DJ spot? Although I did a bit of Dj’ing when I worked in Greece many moons ago, I guess my first proper soul Dj spot would probably have been in the Willingham Suite up at Middleton Civic Hall all nighter around ten years ago. Or it could have been the soul weekender in Lyon at around the same time. I was playing everything from R&B to 60’s club soul right through to modern soul. What was your most memorable DJ spot? There have been many memorable ones all for different reasons, but if I was pushed to name one it’d have to be the ‘Movin On Barcelona” weekender in Feb 2010. Being jetted over to beautiful Barca to share a bill with Ady Pountain & Luisma (Runawaylove) was fantastic. A great venue, enthusiastic crowd, incredible atmosphere, a sheer joy altogether. Your favourite DJ’s and why? In the early days up in Manchester, I really admired Carl Willingham. He was breaking a lot of fresh sounds and was very generous with his knowledge and encouragement towards us youngsters. Nowadays, I really like Butch, Soul Sam, Arthur Fenn, David Ripolles, George Mahood, Dave Thorley & Malayka….the list is quite long! Some of the European guys are amazing too, Edu Domingo, Marc Forrest, Henning Boogaloo, Soul Sami…..I love the influence the European Soul scene is having in the UK. What has shaped your DJ sound and why? The main thing I think that has shaped my Dj sound has got to be dancing I suppose. As a punter and dancer of nearly 20 years, I know what I like to hear to get me up on the floor. Whatever genre of Soul music I might be incorporating into my Dj sound, whether it be 60’s, 70’s , Crossover or some Funky Soul, I always try and play to the floor. I want people to enjoy themselves. Who was your biggest influence musically and your favourite artists? When I was about 10 or 11, I used to go to a little dusty record shop near where I lived every Saturday. The grumpy feller behind the counter started saving me Tamla Motown double siders, Marvin Gaye, Tammi Terrell, The Four Tops and many others. They were 50p each and I used to spend my pocket money on them. Listening to these great artists lead me onto looking for all these other, hidden and forgotten soul artists , equally as amazing as the big stars. I love Otis Redding, Sam Cooke, Aretha …too many favourites to list them all. Do you collect specific labels/artists/genres? No specific labels, but if I find one or two tunes I love on a particular label, I’ll keep my eyes peeled for other stuff on that label. I collect right across the board but recently, I’ve been picking up a bit more Gospel and Funk inspired Soul. I’m always collecting 70’s, Crossover and a bit of Disco when it comes my way. Where can folks currently catch your DJ set? I’m a promoter/resident at MASTERS OF SOUL in Islington, last Thursday of every month alongside Yann Vatiste and Naoko. I also have a resident’s spot down at Crystal Palace Soul. Next year, I’ll be spinning a few over at the ‘We’re Not Too Young” Weekender in Switzerland in April and I’m delighted to be doing the Hamburg Weekender in October too. Leona Murphy gehört zu den VeranstalterInnen der MASTERS OF SOUL Nächte in Islington. 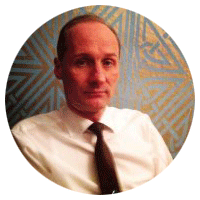 Brett Franklin, sports reporter for the BBC in the mid 80’s, got into Northern Soul back in those days attending the legendary Clifton Hall Allnighters, listening to Rare Souls finest DJs such as Richard Searling and Pat Brady, he quickly got the bug for collecting original rare American Soul vinyl. Playing his records at various Soul venues through the UK and abroad, including the awesome Soul Essence Weekender in Yarmouth , Monumental-On-Sea Weekenders from the famed London 70s/Modern Soul club nights, Hamburg Weekender featuring the incredible Beta Lounge Alldayers, Aachen Soul Weekender, the North Lancashire Soul Festival, Spiders Web in Edinburgh Alldayer anniversary, plus occasionally running the “Lost Soul Club” nights in Sheffield, Filthy Soul in London, Soul or Nothing in Manchester, Soulsville in Leeds, Essential Modern Soul Weekender, etc and many other Dayers and club nights on the Rare Soul/70’s Modern Soul circuit, playing alongside some of the finest DJs and collectors of the genre. Numerous radio specials including appearances on Solar radios most successful show, The Shaun Robbins “Sunday Soul Selection”, Solar Radios “Soul People”, Starpoint Radio with Neil Forbes of Filthy Soul, London, as well as Mark Bicknell’s famous Rhythm & Soul Shack shows from Manchester. Brett has a passion for rare 70’s soul and the hunting and collecting of these incredible and obscure tunes on original vinyl only. Brett legte in den vergangenen Jahren auf den Alldayern in der Beta Lounge auf und konnte in diesem Jahr dazu überredet werden, seine Platten stattdessen im Grünspan zu spielen. Marc Forrest started DJing kind of accidentally at the former Mod Club Sigmundshof on New Year’s Eve 1986. 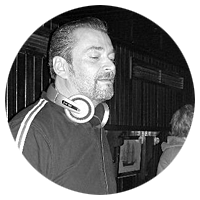 He is regularly and exclusively playing soul music ever since as well as running the Hip City Soul Club Berlin since 1990. He almost went broke with the first German Soul Weekender which took place in 1990. He also did fanzines like „r&b time“ and „Grapevine“ as well as the radio shows „Soulful Shoes“ (Radio 100) and „Harlem Shuffle“ from the late 1980s to the mid 90s. After his first gig in London in 1991 he successfully played regular spots in Manchester, London’s 100 Club and the scandinavian soul nations Sweden and Norway. “gimme two blocks line ´cause baby it`s r&b time“. Germany’s top Rare Soul DJ. Marc Forrest legt seit einem eher zufällig geborenen Engagement im damaligen Berliner Mod Keller Sigmundshof zum Silvesterfest 1986 regelmäßig und ausschließlich Soul auf. Seit 1990 veranstaltet er regelmäßig den Hip City Soul Club Berlin. 1990 trieb er sich beinahe mit dem ersten deutschen Soul Weekender in den Ruin. Bereits Ende der achtziger bis in die neunziger Jahre hinein kamen noch Fanzine Projekte wie etwa „r&b time“ und „grapevine“ wie auch eigene wöchentliche Radiosendungen wie „soulful shoes“ (radio 100) und „Harlem shuffle“ (MDR) hinzu. 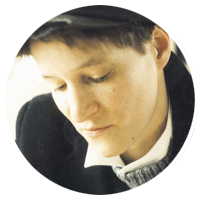 Nach dem ersten Gig in London 1991 hat er bereits erfolgreich regelmäßig in Manchester, Londons 100 Club und den skandinavischen Soulnationen Schweden und Norwegen aufgelegt. “gimme two blocks line ´cause baby it`s r&b time“. Deutschlands top Rare Soul DJ. Handsome Hubert from the imperial city Aachen. Provides soul music for happy dancing moments until the early morning. Alemannia Aachen since 1992. Magic Potion Allnighter since 2002. 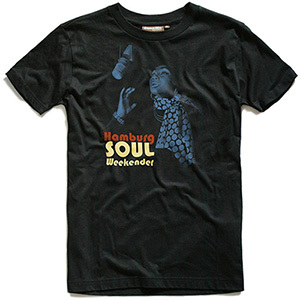 Aachen Soul Weekender since 2006. Miscellaneous guest performances at home and abroad as well as in the republic’s metropolises (e.g. Emmerich and Ochtrup) and also in cities like Munich, Leipzig, Frankfurt, Hamburg. Schöner Hubert aus der Kaiserstadt. Sorgt mit Soulmusik für glückliche Tanzmomente bis in den frühen Morgen. Alemannia Aachen since 1992. Magic Potion Allnighter since 2002. Aachen Soul Weekender since 2006. Diverse Gastspiele im benachbarten In- und Ausland sowie in den Metropolen der Republik (z.B. Emmerich und Ochtrup) aber auch in Städten wie München, Leipzig, Frankfurt, Hamburg. Dave became addicted to Northern when he went „up north“ in 1974 to join the british army. Invited to Wigan he became a Mr Ms stomper he has never looked back since. 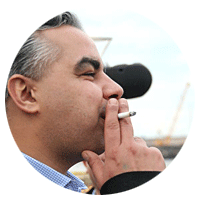 Now resident in Germany he enjoys the company of the incredible „St Pauli“ soul crew…. Dave wurde 1974 mit dem Northern Soul Virus infiziert, nachdem er in Nordengland in die Army eintrat und im Wigan Casino tanzen ging. Insbesondere der Nebenclub Mr. M mit seinen Oldie Stompern hatte es ihm angetan. Dave lebt schon lange in Deutschland und hat viel Spass mit der unglaublichen St. Pauli Soul Crew. In the early 80`s Jens went to a Specials concert and was really involved into Ska and Reggae. Later his musical taste changed to Soul. 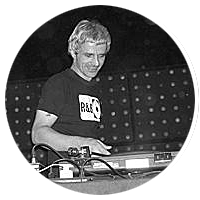 Until the late 90`s he was a regular guest DJ on Scooter Rallies all over Europe. 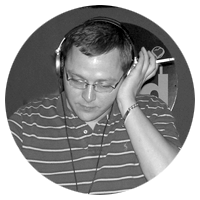 Starting with the Kent compilations in the 80`s, he collects and plays all different kinds of Rare Soul nowadays. 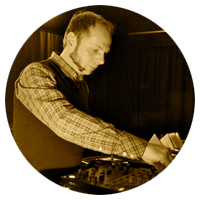 Jens is part of the Elbe Rythym & Soul Club Hamburg. Musikalisch wurde Jens durch ein Specials-Konzert Anfang der 80er Jahre infiziert. Schlug sein Herz anfangs für Ska und Reggae, entbrannte seine Leidenschaft schnell für Soul. Bis in die späten 90er Jahre drehte er die Plattenteller auf unzähligen Allnightern und Scooter-Runs im In- und Ausland. Aus den guten alten Kent-Samplern wurden mit der Zeit 7inch Originals, aus Rollertreffen der Elbe Rhythm & Soul Club Hamburg. Jens spielt am liebsten midtempo Northern, 60’s und Rare Soul, wobei Uptempo-Stomper auch auf ihre Kosten kommen. Hamburg’s local hero Lars Bulnheim has his unique collection spinning for quite a few years now. 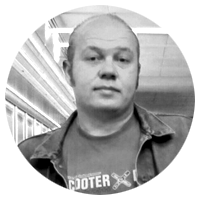 But Lars is also a nationwide and even European constant, you will regularly find him on the line up of in-demand soul events all over Europe. 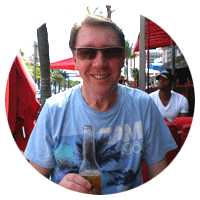 Though his musical focus is on 70’s soul, excursions into the 60’s are a natural part of his set. His magic touch in the selection of tunes and his feeling for the dancefloor guarantee exactly what a soul fan could wish for: danceable, stirring and soulful music! Der Hamburger Lokalmatador Lars Bulnheim bringt seit vielen Jahren seine einzigartige Plattensammlung zum Rotieren. Aber auch überregional ist Lars seit langem eine feste Größe, regelmäßig findet man ihn im Line Up anspruchsvoller Soul Events in ganz Europa. Der musikalische Schwerpunkt liegt bei Lars auf Seventies Soul, Ausflüge zu den Sixties gehören aber selbstverständlich auch mit zum Programm. Das glückliche Händchen bei der Auswahl seiner Platten und das Gespür für den Dancefloor garantieren genau das, was man sich als Soul Fan wünscht: tanzbare, mitreißende, beseelte Musik! Inger is the second female DJ in 2013. 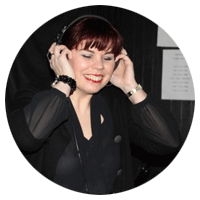 She`s a well known barmaid at St. Pauli’s Clubs and part of the Delicious Biscuits DJ team. She`s playing Modern, Crossover, Boogie and Disco tracks. Inger ist die zweite Frau, die in diesem Jahr auf dem Weekender auflegt. Sie arbeitet in diversen Clubs auf St. Pauli und ist Teil des Delicious Biscuits DJ teams. Sie legt Modern, Crossover, Boogie und Disko auf. 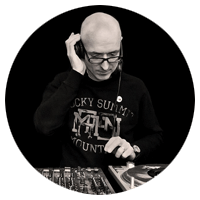 Our favourite vinyl dealer Thorsten from Hamburg – one part of www.puresoul.de and the Pure Soul record shop – is playing his records for the 7th time at the Hamburg Weekender this year. Thorsten, unser Lieblings-Plattenhändler aus Hamburg, eine Hälfte von www.puresoul.de und dem Pure Soul Schallplattenfachgeschäft ist seit dem ersten Hamburg Weekender dabei. 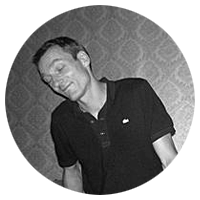 Since he moved to Hamburg 3 years ago Rudi spins records usually at Komet Musikbar his most beloved bar in town. Other places in Hamburg since were Rock’n’Roll Hotel Kogge, Mandalay and Twentyflight Rock. Musically his heart belongs to Rhythm & Blues from the late 40’s to early 60’s but he also loves Jump Blues, Soul, Popcorn, Beatnik Jazz and Tittyshakers. 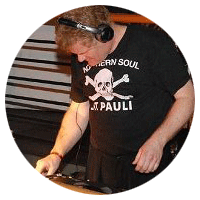 Being already a guest DJ at For Dancers Only 10th anniversary Rudi is glad to be invited to Hamburgs Soul Weekender. Nachdem Rudi vor drei Jahren nach Hamburg zog, legt er regelmäßig in seiner Lieblingsbar Komet auf. Außerdem spielte er seine Platten im Rock`n`Roll Hotel Kogge, dem Mandalay und im Twentyflight Rock. Sein Herz hängt am Rhythm & Blues der späten 40er bis in die frühen 60er Jahre, aber er liebt ebenso Jump Blues, Soul, Popcorn, Beatnik Jazz und Tittyshakers. Nachdem er bereits als Gast DJ beim 10jährigen Jubiläum des For Dancers Only Allnighters auflegte, freut er sich über die Einladung zum Hamburg Soul Weekender.